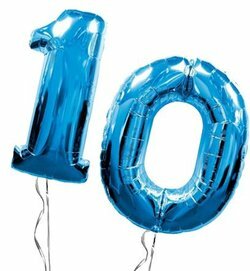 Last week TheAnimationBlog.com reached an important milestone — its 10th anniversary. Ten years ago, on March 1, 2007, TheAnimationBlog.com was born with one goal: provide animation fans with an easy way to watch the internet’s best animated short films. 5,300+ blog entries later, The Animation Blog is still online thanks to you, the loyal fans. I want to thank you all for your support. And thanks to all the filmmakers from around the world who submit their short films — your talent amazes and surprises me daily and I’m honored to help share your work. As a reminder, you can follow The Animation Blog on twitter @animation_blog. And if you would like to donate money to help pay for our ongoing hosting and domain fees, please use the PayPal Donate button in the navigation. Any amount is greatly appreciated.